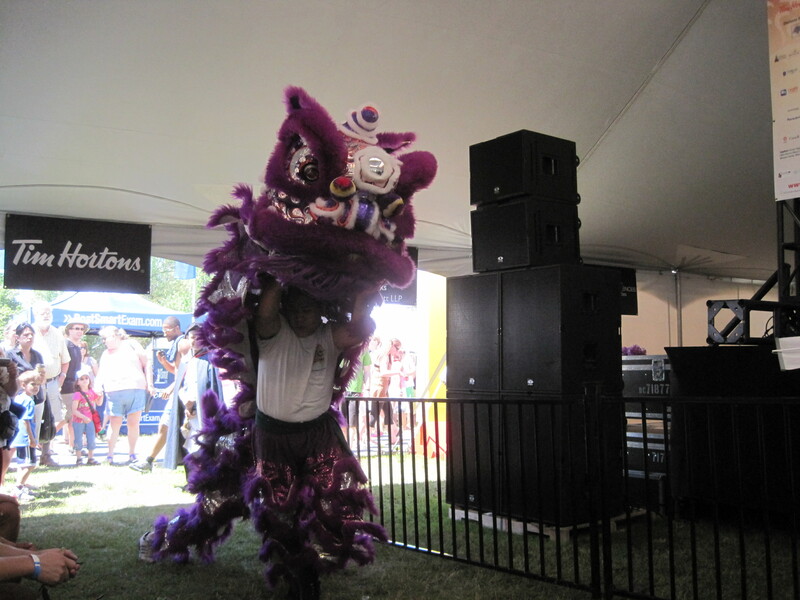 For the first time in awhile, there was no rain at the Ottawa Dragon Boat Race Festival. It was just a nice sunny day and I thought it would be a very hot but the winds helped cool the climate. 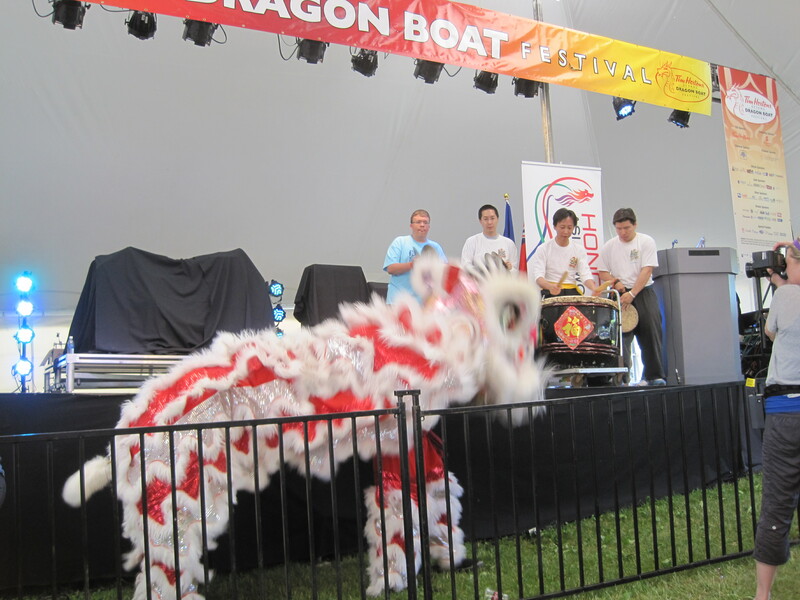 Enough weather talk, it’s always a privilege to perform at the Dragon Boat Race Festival. 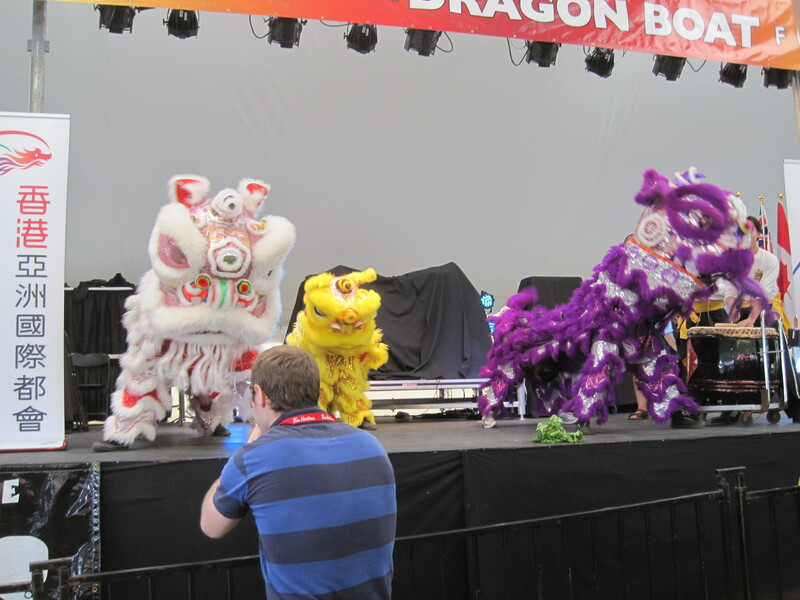 As usual, it’s always good to have Max Keeping introduce our lion dance troupe and for the first time, Carol Anne Meehan, was the co-MC with Keeping. I think she enjoyed the lion dance performance. Prior to performing, I had a good walk around at the festival (in Mooney’s Bay Park) and to my amazement, it was packed with a lot of people walking around checking out the vendors. Since 1993, the festival has really changed a lot with bringing charitable organizations to the forefront and I think for the past few years, they’ve added the concert series and unfortunately, I did not get to see Jim Bryson perform because I had my dad around and I didn’t want to wait until 4pm. 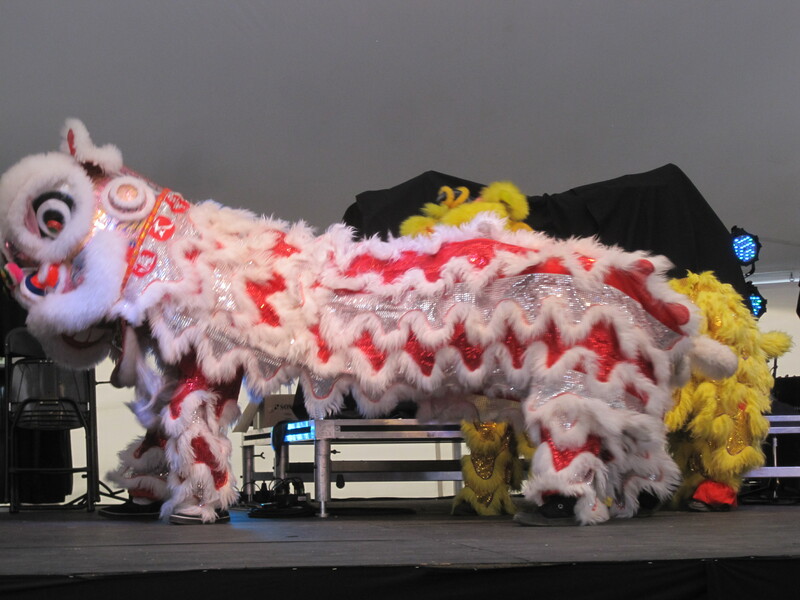 At least I got to see Spartacat (The Ottawa Senators mascot) after concluding the lion dance performance. Aside from that, I got a free deodorant at the festival. Overall, kudos to the board of directors and staff of the Ottawa Dragon Boat Festival for making the event fun, passionate and successful. 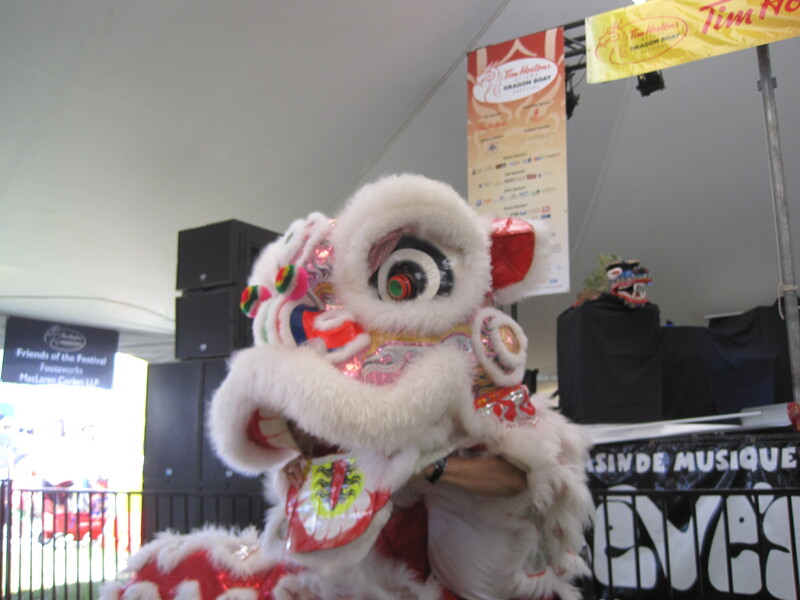 Don’t forget to check out the photos from the lion dance performance.